Kernow Fires are suppliers of the Dru Metro 130XT Tunnel Eco Wave in Cornwall. The Metro 130XT Tunnel is a see-through, room dividing gas fire based on the Metro 130XT. This is one of the most impressive models in the DRU Metro range of frameless gas fires. It is 1.3 metres wide and features a fire bed of gorgeous logs that can be viewed from two rooms or through a room dividing wall. It has a smooth black interior, throwing into relief the outstanding flame picture of the fire. It has a plentiful heat output of 10.8 kw (10.6 kw LPG), with a remarkable efficiency rating of 86%, far superior to ordinary gas fires. 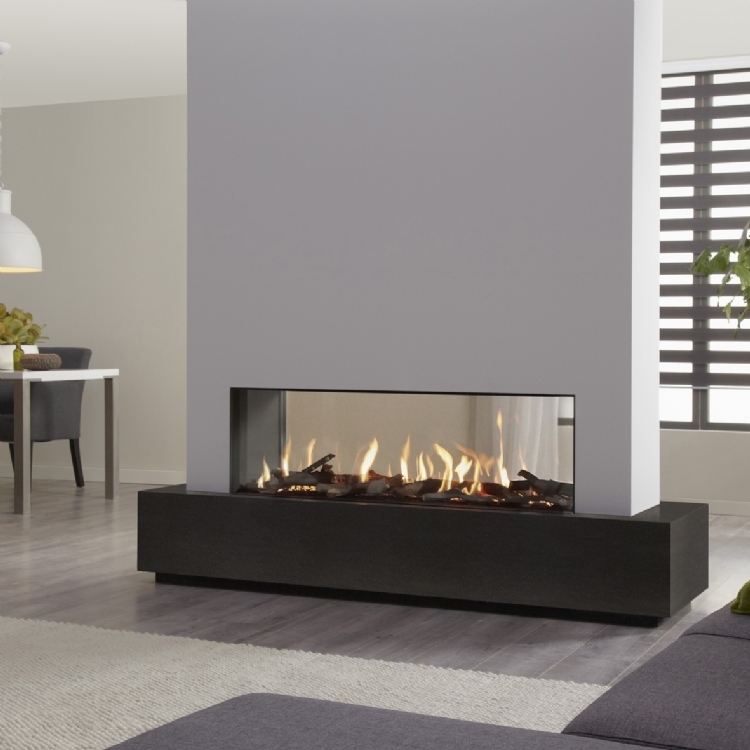 Metro 130XT Tunnel is a gas fire for larger than average, modern-day home settings. It provides warmth, comfort, efficiency and, above all, dramatic visual appeal. 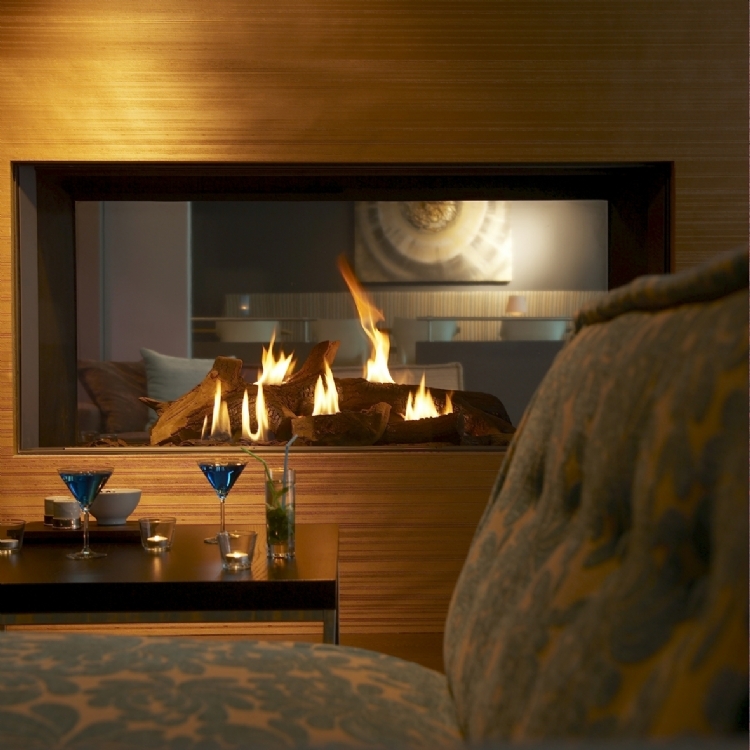 The unique DRU burner creates realistic and high flames in a zigzag pattern across the fire bed, resulting in the most authentic flame picture ever produced on a DRU gas fire. 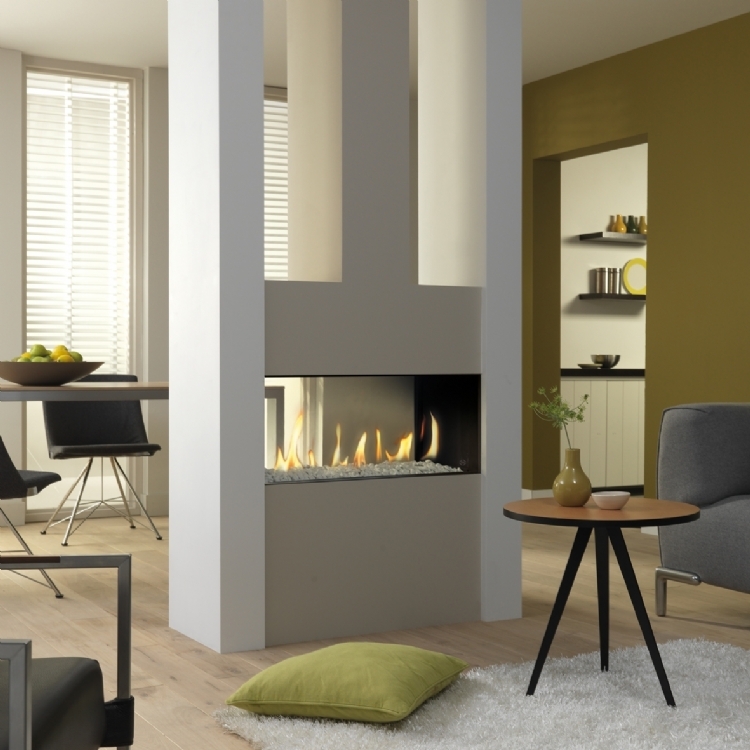 This is a balanced flue gas fire, which can be installed into an existing room dividing wall, or into a false wall made from DRU approved, heat resistant materials. It is also suitable to be combined with the exclusive DRU PowerVent® system that enables gas fires to be installed in hard to reach or unusual locations. And with electronic remote control, you can adjust the flame picture and the heat from the comfort of your armchair. DRU Metro 130XT Tunnel is certainly a gas fire for the connoisseur.